The Institute for Transport Studies (ITS), University of Leeds, is offering two 50% fees scholarships, each worth £7875, to provide development opportunities to students of outstanding ability, achievement and potential. MA Advertising and Marketing, MA Corporate Communications and Public Relations and MSc International Marketing Managemen t- 50 scholarships of 1500 pounds. Business School Masters in Human Resource Management International Excellence Scholarships - 4 scholarships of 5000 pounds. Head of School Scholarship - School of Electronic and Electrical Engineering - Variable amount available of 3000 pounds. Head of School Excellence Scholarship - School of Mechanical Engineering - Variable amount available of 2000 pounds. Business School Masters in Accounting and Finance International Excellence Scholarships - 10 scholarship of 5000 pounds. Deadline- 30th March 2015. School of Media and Communication- 4 scholarship of 7000 pounds. 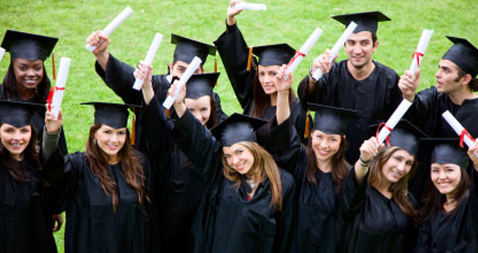 GREAT Britain Scholarship India 2015 - School of Media and Communication-6 scholarship of 1500 pounds. Business School Masters in Strategic Management in the Global Environment International Excellence Scholarship - Leeds University Business School 1 scholarship 5000 pounds Deadline 31st March 2015.
Business School Masters in Organizational Psychology/ Business Psychology International Excellence Scholarship- Leeds University Business School 2 scholarship of 5000 pounds. Business School Masters in Management International Excellence Scholarships -Leeds Business School (Msc Management)- 4 scholarship of 5000 pounds. Business School Masters in Information Systems and Information Management International Excellence Scholarship - Leeds University Business School - 1 scholarship of 5000 pounds. Business School Masters in Global Supply Chain Management International Excellence Scholarship - 1 scholarship of 5000 pounds. Business School Masters in Global Innovation Management International Excellence - 1 scholarship of 5000 pounds. Business School Masters Enterprise International Excellence Scholarship - One award available- 5000 pounds. Business School Masters in Economics Excellence Scholarship - South East Asia - One award available- MSc Economics and MSc Economics and Finance - 15000 pounds. Masters in Business Analytics and Decision Sciences International Excellence Scholarship - One award available - 5000 pound. Academic Excellence Scholarship for International Students (Full Fee Award) - One award available Masters study in the School of Sociology and Social Policy from September 2015. GREAT University of Leeds Scholarships - India 2015 - 2 awards available of 7500 pounds- Closing date: 30 April 2015 - Faculty of Biological Sciences.